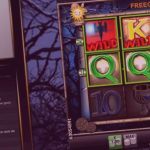 The third Big Wins segment for 2019 features a large number of different slot machines. Apart from the usual faces we have a new casino streamer with an incredible bonus round. Moreover all the hits come from the 14th util the 20th of January. Now let us take a closer look at each and every win. We start things with Nickslots and hit free spins on Diamond Mine. 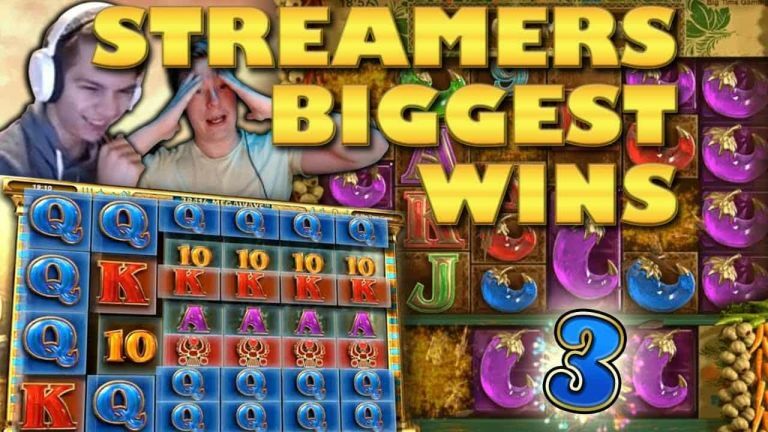 The streamer was playing £5 bets at Casino Calzone when he triggered the bonus. This slot is very similar to the popular Bonanza game. Therefore the goal is to increase the multiplier through winning combinations. That is exactly what Nick did thanks to the multiplier getting up to 18x, and a number of great combinations the total win was £2500. 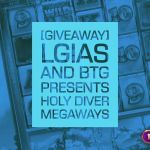 Which mega-ways type slot is your favorite? Talking about Bonanza last week we also had a big win on the game from Slotspinner. We have this conviction that when a slot machine is good, it can both play on the bonus and the base game. Bonanza proves us it is a great games, as it gives a huge win outside the free spin round. Specifically a 300x, thanks to a combination of the diamond premium symbols and the wilds. On the other hand we could not have a compilation clip without some Jammin Jars. 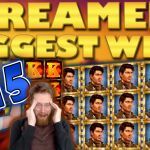 There where multiple slot streamers that won big on the slot last week. However we decided to go with Jimbo’s 1090x the stake hit on the Push Gaming machine. We know that a number of you might be tired by the constant featuring of Jammin Jars on these segments. Nevertheless as long as the slot game pays we can't help but include it. Let’s spice things up with a bit of Novomatic. All thanks to Hugge who was playing good old Chicago on SEK 10 bets. This game’s bonus round has the potential to give massive payouts. - If you can trigger it! Lucky for Hugge he managed to activate the free spins and come out of it with a big 1114x the stake win. From a slot that only pays on the bonus to one that does not even have one. Queen of Riches is one of the most volatile casino games out there. Hence, D-Labs’s 487x the stake win the other day is just a taste off that this game can do. LeoVegas is a casino where you can find both the Queen and Chicago. One of the best releases of these first days of 2019 is Ninja Ways from Red Tiger. This games has a good base game which will keep players engaged, however the potential lies on the free spin round that can pay massively. Moreover the animation, theme and overall game play is of the best quality in our opinion. Miikapekka benefited from the potential of this game with a 1819x the stake win. Try the Ninja on CasinoHeroes and let us know your opinion. Undoubtedly one of the most popular slot games of last year was Extra Chilli. The BTG title continues to give wins this year as well, and today we have two streamers who got stupendous hits on it. First Apehehe with a 1432x on the bonus. This is the second wins in a row the streamer gets on Chilli. 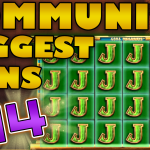 Finally JJCasino bring the best wins of the week with a 4333x the stake. We hope to see more from this new streamer on future videos. 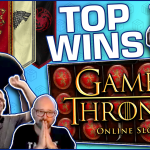 Tell us which win on Casino Streamers Biggest Wins – Week 3 of 2019 was your favorite. Moreover, share your thoughts in the comments. Also, make sure to check our other videos on CasinoGround’s YouTube channel.